President Obama will request $582.7 billion in funding for the Pentagon as part of the fiscal year 2017 budget, Secretary of Defense Ash Carter said. It will be partly used to keep a competitive edge over Russia and China, and to quadruple spending in Europe. Carter said part of the $582.7 billion will include $71.4 for research and development funding, adding that much of the money will focus on maintaining an edge over the competition. 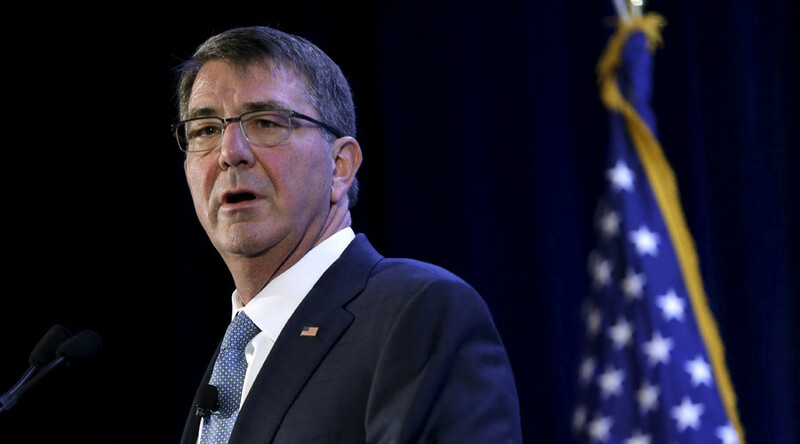 The defense secretary called Russia and China "our most stressing competitors." The budget will also include $7.5 billion to fight Islamic State, $8.1 billion for submarines, and $1.8 billion on munitions, according to Carter. Carter said the budget was guided by five factors: the rise of power from Russia and China; the threat of North Korea to the US and its Pacific allies; Iran's “malign influence” against allies in the Gulf; and the ongoing fight against Islamic State (IS, formerly ISIS/ISIL). He added that in the past, the Defense Department "tended to focus and plan and prepare for whatever big war people thought was coming over the horizon," but that such tactics "won't work for the world we live in today." The Pentagon will also more than quadruple its spending in Europe, from $789 million to $3.4 billion, to reassure allies and deter so-called Russian aggression. This is expected to include more US forces in Europe, more training and exercising, the positioning of military equipment, and improving infrastructure there. "While we do not desire conflict of any kind with any of these nations – and let me be clear, though they pose some similar defense challenges they are very different nations and situations – we also cannot blind ourselves to the actions they appear to choose to pursue," Carter said. When speaking about ISIS, Carter said "we need to keep ISIL down." "Our strategic approach is to keep motivated local forces which are hard to find. We have to take Mosul and we have to take Raqqa in order to make sure that there is no Islamic State," he said. Carter noted that Americans will lead the fight against the militant group, but that other countries need to do their part. "Many of them are not doing that much," Carter said. The Pentagon plans to boost its spending on the war against ISIS in Iraq and Syria by 50 percent from last year, to $7.5 billion. Of that total, $1.8 billion will go to buying more than 45,000 GPS-guided smart bombs and laser-guided rockets, Carter said. The Defense Department will also aim to delay the retirement of the A-10 attack jet, which has been dropping bombs on ISIS, until 2020. Referencing North Korea, Carter said the US is "keeping an eye on the DMZ (Korean Demilitarized Zone) every minute of the day." “...Don’t forget nuclear weapons coupled with ballistic missiles in the hands of North Korea, coupled with…how do I say this…their odd demeanor [is a bad thing]," he added. FY17 #Budget includes more money for #cyber: nearly $7 billion in 2017 and almost $35 billion over the next five years. Carter said he would like to see Guantanamo Bay closed. “I would like to see Guantanamo closed, but here...is the issue. There are people in the detention facility, there’s no way to say this, [that] have to be contained. So it needs to be closed safely...there needs to be another place to keep them." He added that he would "rather not leave this detention business to the next president. We need to work with Congress..."
When asked about damaged inflicted by NSA whistleblower Edward Snowden, Carter said: “It was damaging to security, to work with other countries, but most importantly [it] hurt trust with industry. For companies, it has been used as a guise for protectionism. It has put our companies at a disadvantage. Some countries say 'store your data in our country, it will be safer here.'" “When I was a physicist, the generation before me had a reflex that it was important to use your knowledge for the public good. I do find that people in Silicon Valley, these are people who are where they are because they like to do things of consequence, they see defending our country as something of consequence," Carter added. Meanwhile, the Pentagon's next five-year budget proposal will seek $13 billion in funding for a new submarine to carry nuclear ballistic missiles, along with orders for more Boeing Co (BA.N) and Lockheed Martin Corp (LMT.N) fighter jets, sources told Reuters. According to one of the sources, the Pentagon will underscore the need to fund all three areas of a US strategic deterrent "triad." This includes a new Air Force bomber, a replacement for the Ohio-class submarines that carry nuclear weapons, and new nuclear-armed intercontinental ballistic missiles. 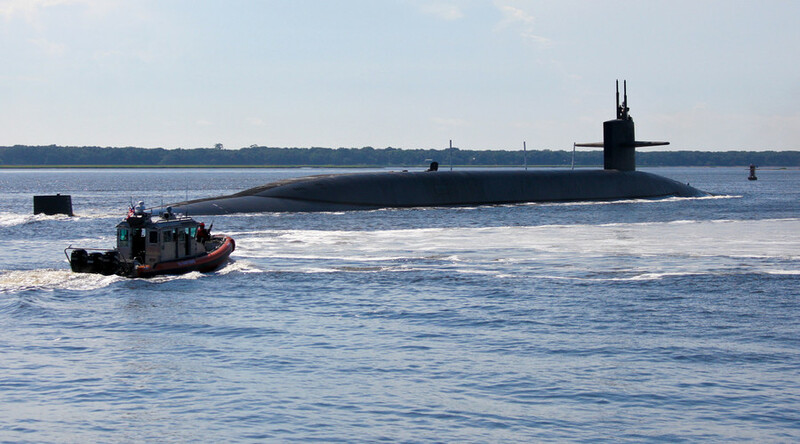 The budget will also reportedly fund the procurement of materials for the new submarines that take a long time to acquire, with funding of the first full new submarine to follow in fiscal years 2021. The sources added that the Navy will spend over $4 billion on research and development of the new submarines, plus over $9 billion in procurement funding over the next five years. The Navy will request funding for two Boeing F/A-18E/F Super Hornets as part of the fiscal 2017 war budget, and 14 in the fiscal 2018 budget, one of the sources said. It will likely add a request for 12 more Boeing Super Hornets to their list of "unfunded priorities" for fiscal 2017. The five-year budget plan calls for Lockheed to sell a total of 161 F-35 fighter jets to the Navy and Marine Corps. These include 64 C-model jets that take off and land on aircraft carriers, and 97 B-model jets which can take off from shorter runways and land like a helicopter.